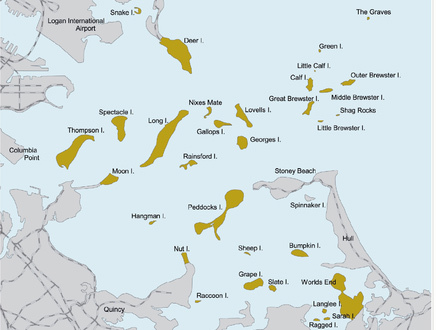 The Boston Harbor Islands consist of 2 coastal peninsulas and 32 small islands, ranging in size from less than an acre to over 200 acres. Hopping a ferry to the Harbor Islands is a fun way to spend an afternoon exploring some of our city’s unsung scenery. Ferries depart from the Long Wharf on the Boston Harborwalk, which is just a ten minute drive from our boutique bed and breakfast. 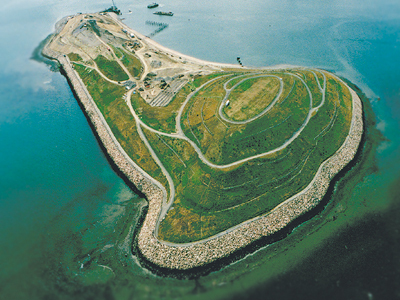 Boston Harbor Islands ferries make their first stop at Spectacle Island, which opened to the public in 2006 and quickly became a daytime destination. Jump off the ferry and explore the new Visitors Center, relax on the family-friendly beach, or trek through 5 miles of hiking trails up to the island’s highest point and check out amazing views of the Boston skyline and waterfront. The Long Wharf ferries then continue on to Georges Island, home to Fort Warren. 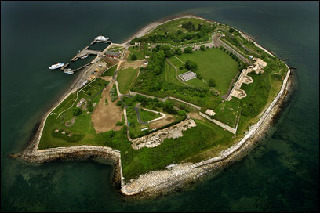 Used as a prison during the American Civil War, Fort Warren is best known for it’s ghost legend of the “Lady in Black”. Park Rangers offer free guided tours, with tons of information about the infamous ghost and other free activities on the island. Catch a play, historic show, musical performance, or even a vintage baseball game! If you’re looking for more information on the Boston Harbor Islands ferries and how to make the most of your time in the city, Clarendon Square is happy to help. From our Boston South End location, guests have access to all the popular tourist attractions, and some of the city’s best kept secrets! This entry was posted in Uncategorized and tagged boston bed and breakfast, boston harbor ferry, Boston Harbor Islands, boston hiking, fort warren, georges island, spectacle island by admin. Bookmark the permalink.